While the fresh spring breeze is giving way to the hot summer days, we are still basking in the glow and glory of the wedding season. 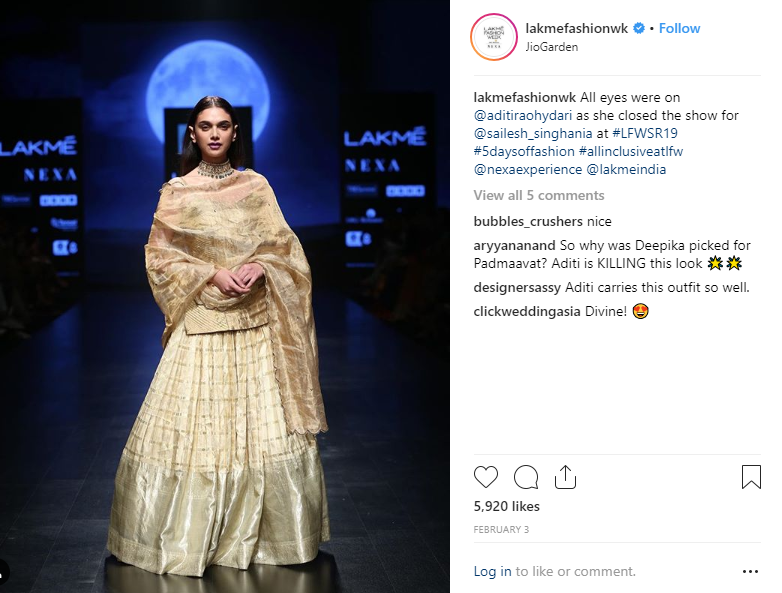 This has been an exciting period for the world of wedding fashion, with the ace designers of India showcasing some of their most vibrant and exclusive collections in wedding party outfits, bridal ensembles, and more. 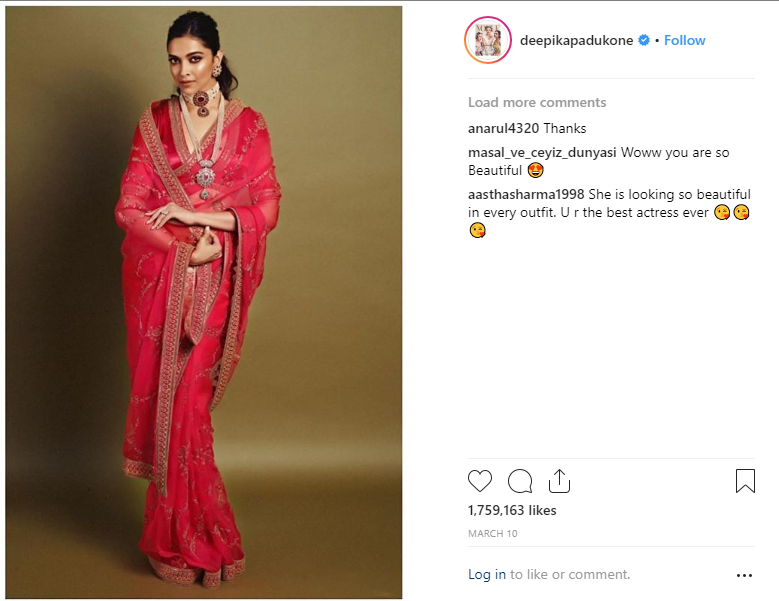 Deepika wore this bright red organza saree with embroidered details from Sabyasachi, paired with the designer's exclusive jewellery collection. 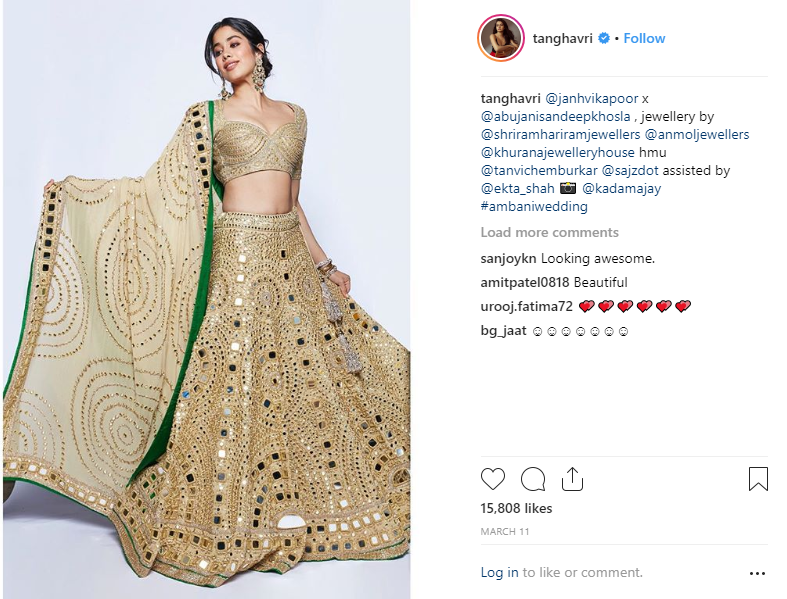 Janhvi sported this golden lehenga ensemble with heavy mirror work from the house of the designer duo Abu Jani and Sandeep Khosla. 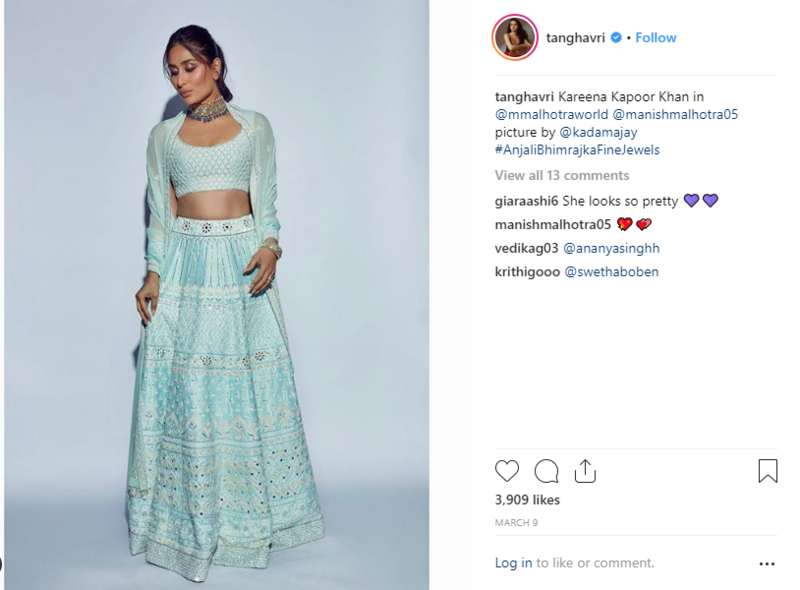 Kareena donned this dreamy, sky blue lehenga choli from Manish Malhotra paired with contrasting royal blue jewels. 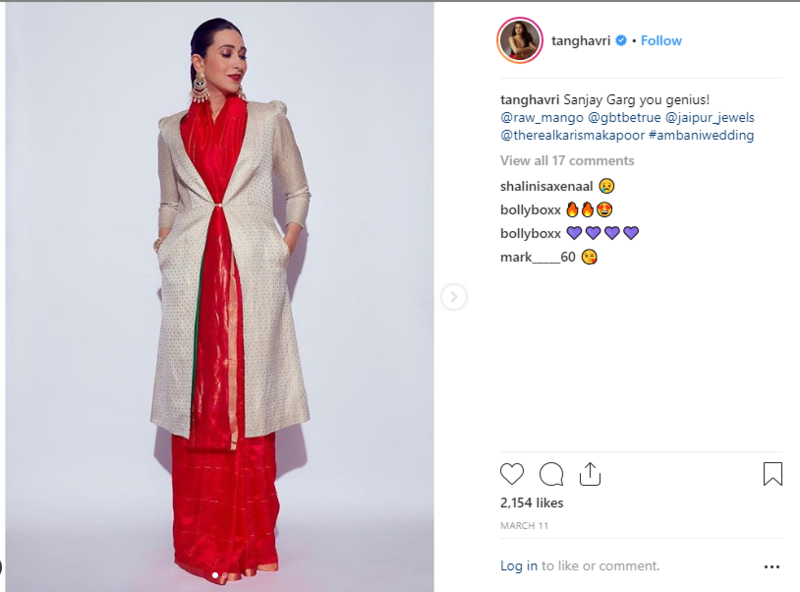 The quintessential red saree gets a trendy makeover with Karisma Kapoor wearing this Raw Mango silk saree and a complementing brocade jacket. 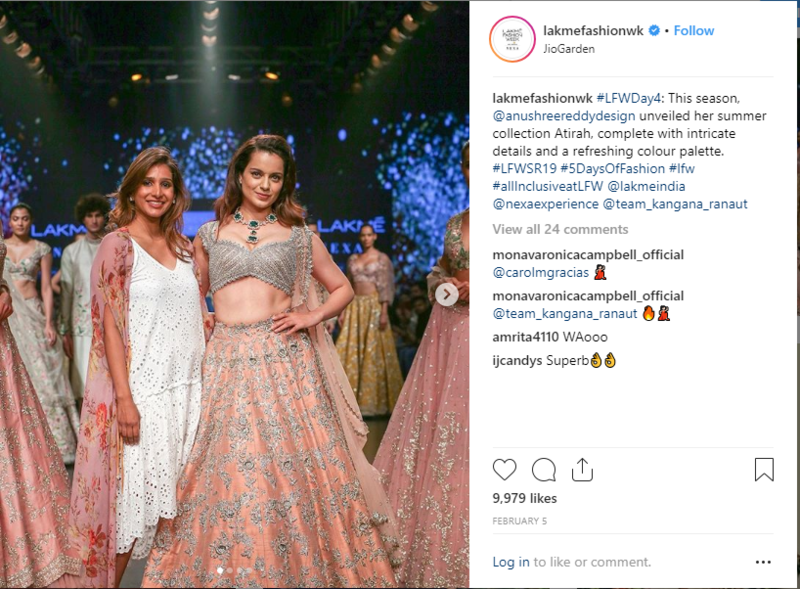 Kangana sported this intricately embroidered bridal lehenga ensemble in a unique color palette by Anushree Reddy. Actor and model Aditi Rao Hydari looked pure royalty in this all-gold ensemble by designer Sailesh Singhania. 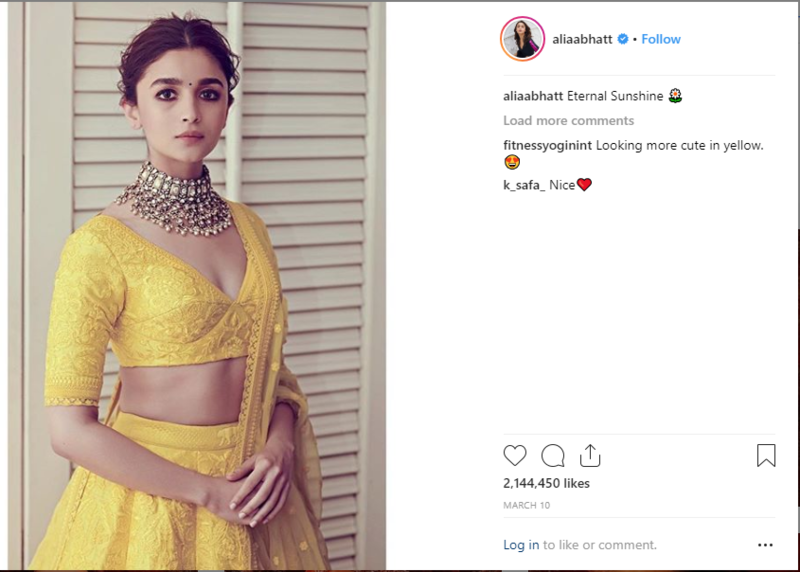 Alia Bhatt sparkled in this bright, sunny yellow lehenga ensemble by Sabyasachi, complemented with jewelry from Sabyasachi Heritage Jewelry.